· 16 teams (top qualified clubs in domestic leagues holding long-term or annual Euroleague licences plus the Eurocup champion) enter a Regular Season, played as a single group round-robin. The final standing is based on individual wins and defeats. In case of a tie between two or more teams after this group stage, the following criteria is used to decide the final classification: 1) number of wins in head-to-head games between the teams; 2) basket average between the teams; 3) general basket average at the end of the Regular Season; 4) points scored; 5) sum of quotients of points scored and points allowed. · The top eight teams after the Regular Season qualify for the Playoffs (X-pairings, best of 5 games). 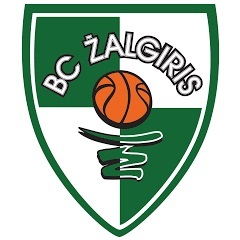 · The four winners of the Playoffs qualify for the Final Stage (Final Four), played at a predetermined venue. (d) Overtime at the end of regulation (72-72). (e) Overtime at the end of regulation (80-80). (f) Two overtimes at the end of regulation (66-66 and 80-80). (g) Overtime at the end of regulation (89-89).